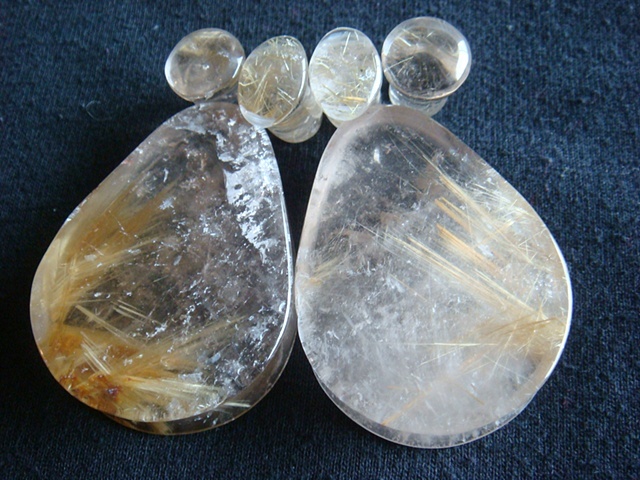 The main pair of this set was actually cut from two separate pieces of Rutilated Quartz. They could have come from the same piece but I didn't feel they would have been nice enough. We were pleased to really capture the inward/upward spray of Rutile.